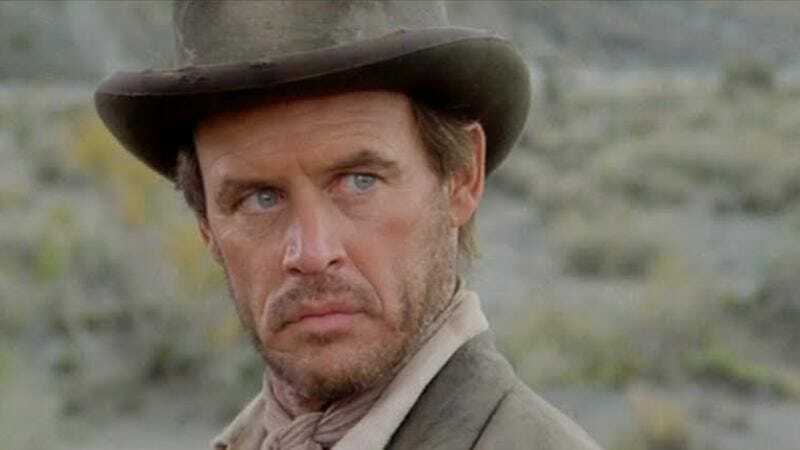 As confirmed by Variety, character actor Geoffrey Lewis—best known for appearing in Westerns and a handful of Clint Eastwood movies—has died. He was 79. Lewis was born in San Diego in 1935; he grew up in Rhode Island, but returned to California at a young age. His first real acting credits came in the ’70s, mostly in TV dramas like Then Came Bronson, The Young Lawyers, and The Name Of The Game. Lewis found his niche in shows like Bonanza and Gunsmoke, though, and after roles in Bad Company and The Culpepper Cattle Co., he became known as a reliable character actor for Westerns and stories with a Western-like flair. Lewis began working with Clint Eastwood on High Plains Drifter, and the pair would go on to share the screen in a bunch of other films, including Thunderbolt And Lightfoot, Every Which Way But Loose, Any Which Way You Can, Pink Cadillac, Midnight In The Garden Of Good And Evil, and Bronco Billy. More recently, Lewis popped up in Dawson’s Creek, Law & Order: Criminal Intent, and Rob Zombie’s The Devil’s Rejects.